My name is Glenn A. Smith. My wife Catherine and I, along with 3 dogs and a cat, recently relocated to Milton. We're looking forward to discovering all that the area has to offer. I am a Broker/Associate, GRI designation, with RE/MAX Horizons Realty in Pensacola. I have more than 18 years experience, with the majority in residential sales. However, my expertise is as a listing agent. I'll prepare and present a Comparative Marketing Analysis to determine a listing price that will meet your needs, and get your home Sold!! Eighteen years as a RealtorR has taught me that to sell a home, you must show it to as many qualified buyers as possible. I accomplish this by advertising heavily in both traditional and electronic media. Your home will be listed on the Pensacola Association of Realtors Multiple Listing Service which shares our MLS data with the Emerald Coast and Bay County Associations of Realtors, and the Realtor Association of Franklin and Gulf Counties. 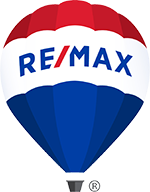 Your home is also distributed to Remax ,Realtor.com, Zillow, Trulia, Homes.com, Listhub and a host of other real estate sites and search engines, such as Google, yahoo and Bing. 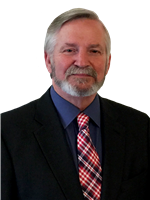 I also utilize social media such as Facebook: (facebook.com/GlennSellsFlorida) Twitter: (@The_Right_Agent), Linkedin (Linkedin.com/glennsellsflorida) and my website www.glennsellsflorida.com. A minimum of 20 up to a maximum of 50 photos. Your home will be featured in a virtual tour, and a single property site, dedicated solely to your home, with links to the site from Realtor.com, Zillow, Facebook, Twitter, Linked-in and our MLS. A complete description of your home, highlighting features-Interior and exterior updates/upgrades and location benefits. The more information the buyer has, the easier it is to make an informed decision. My knowledge of your home will allow me to help with that informed decision. Bi-monthly updates via phone, email or text depending on your personal preference. And of course, the strength and recognition of the RE/MAX brand. In conclusion, a competitive listing price, exposure in both traditional and electronic media and an experienced agent with the skills and knowledge to guide you through the entire process. "Isn't it time to hire the Right Agent?"